Fidel Sarmiento’s art on plates have very polished architectural details and strong interaction of light and textures. He does not only capture the mood of the morning light, he essentially paints the light. Sarmiento paints directly onto the ceramic canvas as he injects details like walls, windows, and grills, while choosing soft, bright and dark palettes to sensationalize contrast between what is old and what is new, a subsidiary insinuation to the generation conflicts between the past and the present. 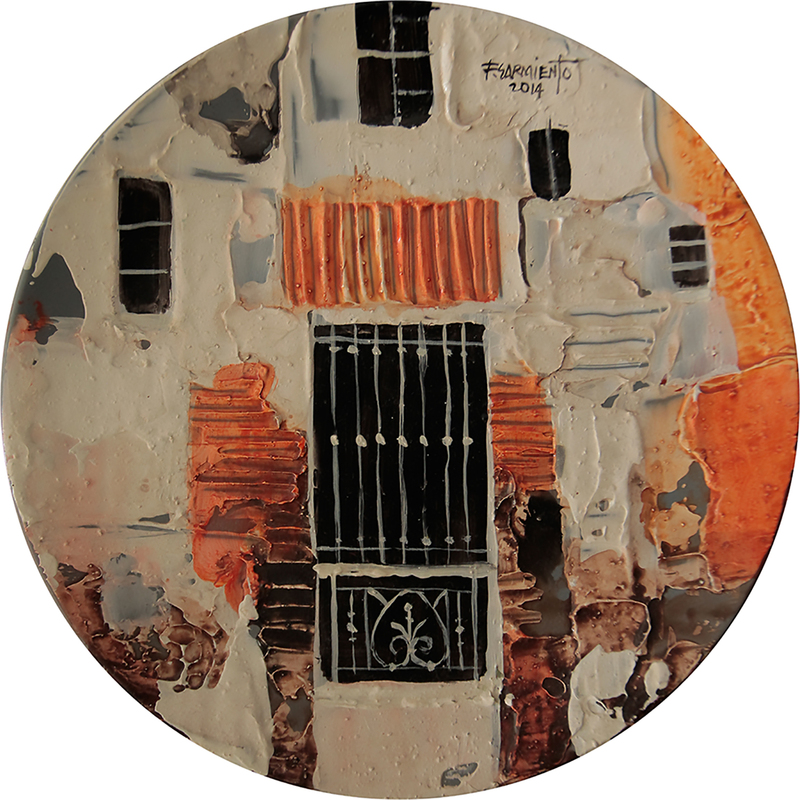 This decorative art on plate’s wall accent pieces will definitely transfigure your home’s interior decor with these soft and vibrant acrylic tinted plates that will surely stand out as a great focal point in every home. Art on plates collectibles are one of the favorite things to use to decorate large areas of wall space or any accent cabinets. They are so versatile, and can be used in almost any style of home, from the most contemporary to the ultra-traditional and everything in between. These accent wall pieces in one of the art collectors glass door decorative cabinets along with his other small art pieces. It catches everyone’s eyes when they walk-in along with compliments on it too! Fidel Sarmiento, a native of Sampaloc, Manila, Philippines, is an acclaimed master in visual arts. 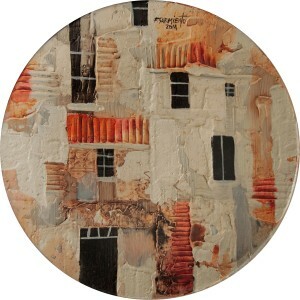 He has concentrated not only on his craft but also in the promotion of visual arts to various sectors of the community. He has reached out to students, elderly and even the gifted inmates in prison. Fidel Sarmiento continues to impart his artistic talent to students and teachers, contributing significantly in the development of the art scene in the Philippines. 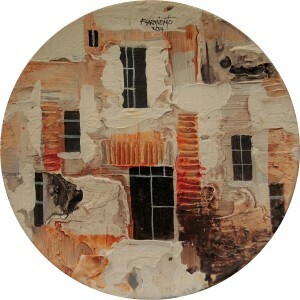 The artworks showcased in this site are part of our personal art collection by art collector, Jason V. Macuha. Macuha Art Gallery supports the Philippine contemporary arts and the Filipino Artist. Through its spaces, exhibitions and gallery, aims to promote the Philippine contemporary arts by showcasing the art works of notable and emerging Filipino Artists . One of the initiatives of Direk Lauren Dyogi is to promote art appreciation in the TV entertainment group thus, TV Prod Art Exhibit was launched. Different artists such as Bernardo Supsupin, Carlos Francisco, Charlie Val, Dino Blaco, Jao Mapa, Jovito Andres, Nani Reyes, Norman Blanco, Norberto Lugtu and Monserrat Muros had participated since it started two years ago. I would like to inquire if Macuha Art Gallery would be interested to have a partnership with TV Entertainment group for art sake. Should you wish to explore this opportunity, please do not hesitate to contact me through my mobile number 0926-648-2795 or 415-2272 local 5220. Hoping for your positive feedback.